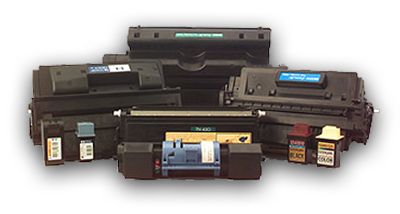 Synapsis MICR toner cartridges are not remanufactured or refurbished. The internal components used in Synapsis toner cartridges are 100% factory brand new and Synapsis laser printer toner cartridges are manufactured under ISO 9001 guidelines! Synapsis toner cartridges - whether Magnetic Ink Character Recognition (MICR) or standard office supply toner cartridges - are used by some of the leading financial services companies in the world. This is because Synapsis has performed its homework and all the detail work it takes to do the job right and support you 100%. Synapsis toner cartridges meet and exceed ABA / ANSI standards. Orders placed before 10:30 a.m. PST, M-F are usually shipped the same day. If you have any of the following laser printer brands, Email Synapsis for best pricing.